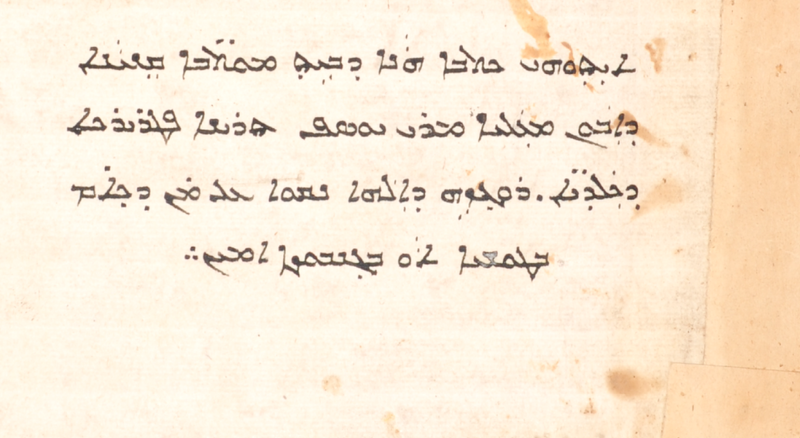 Below are two similar, but not identical, ownership notes for Chaldean Patriarch Yawsep II (1667-1713) in seventeenth-century manuscripts from the Chaldean Cathedral of Mardin (recently mentioned here), both, as it happens, copies of The Book of Sessions (Ktābā d-bēt mawtbē), dated 1653 (№ 47) and 1672 (№ 48) and both copied at the Monastery of Mar Pethion in Amid (Diyarbakır). As often in ownership notes, there is also a curse against any would-be thieves. An English translation follows each image. This Book of Sessions is the property of our exalted father, Mar Yawsep II, Patriarch of the Chaldeans. May whoever keeps it for himself secretly or in theft be excommunicated! 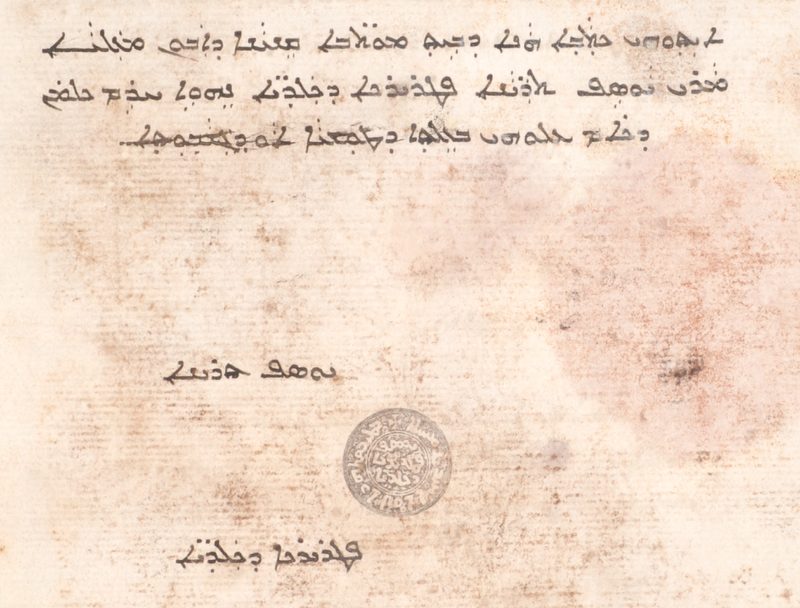 This Book of Sessions is the property of our exalted father, Mar Yawsep II, Patriarch of the Chaldeans. May the wrath of God remain on whoever keeps it for himself secretly or in theft! Amen!